First of all, a series of games and activities such as voting for gurus, mission games , happy puzzle bingo, shaking the reward tree and Banggood jump will be available. 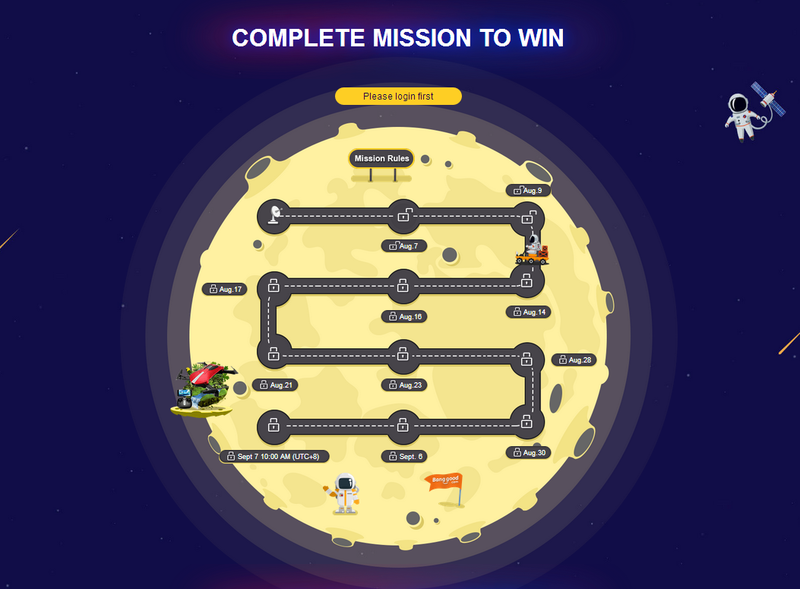 Through these games and activities, you can win all kinds of generous coupons(Among them, the discounts as high as 50% off will be available) that you can use in the “stellar sell”. Secondly, we can put our focus on the special deals which completely surprises you. For example, from 7th. 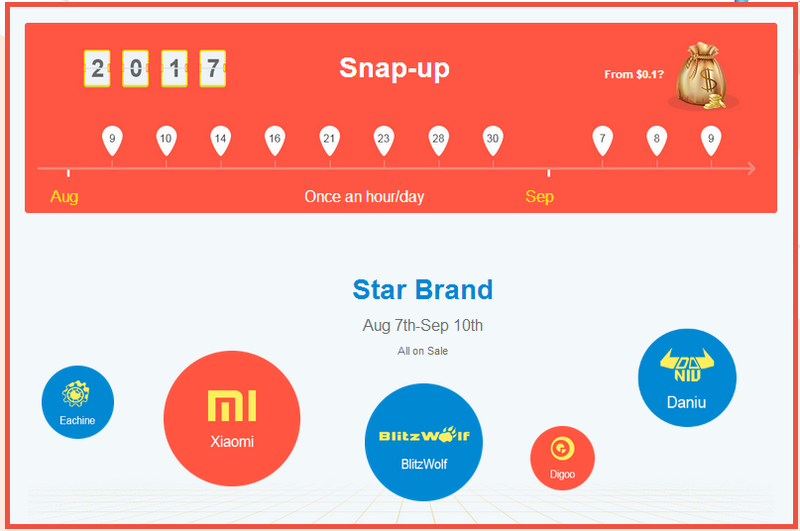 Aug, a number of snap ups will be offered in many categories including popular products from brands such as Xiaomi, Eachine, BlitzWolf, Digoo, Daniu everyday. But it will be time-limited because every day it will be just offered once an hour. So you should stay sharp during this time in order to get what you desire at the bottom price. Likewise, from Sept.1 to Sept. 6, new products will be offered in the part named “World premiere. So if any you like, just take it and become the person who catch the trends. Besides, there is also limited deals at a discounted price. But limited deals means limited quantity so you still keep sharp. More depth discounts will be offered in App only as a token of appreciation to all customers using Banggood’s App, ,so those of you have who have not installed it yet need to hurry up. What’s more, people who become the new member of Banggood in this period will receive the generous coupons. So, just catch the time to be one of member of Banggood and you will be benefit more in the future. On top of that, VIP customers using the App will have access to further discount to reward their loyalty. The higher your VIP is, the more you save. Finally, the “Stellar Sell” is the most important of this anniversary promotion where all kinds of surprises will be available in each products category of Banggood. For example, 50% off will be provided for you in smart device. It is not surprised enough ? 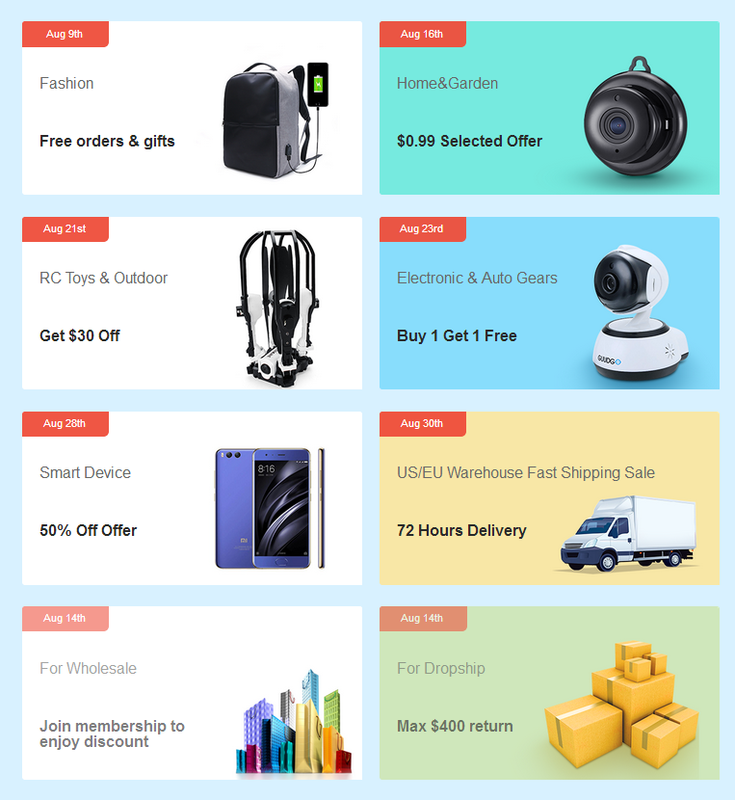 Okay, Banggood will surprise you with the products at the price as low as $0.99. And we have not mentioned the freebies. Those purchasing fashion products from Aug. 9th and Sept. 10th will have the chance to win free products.